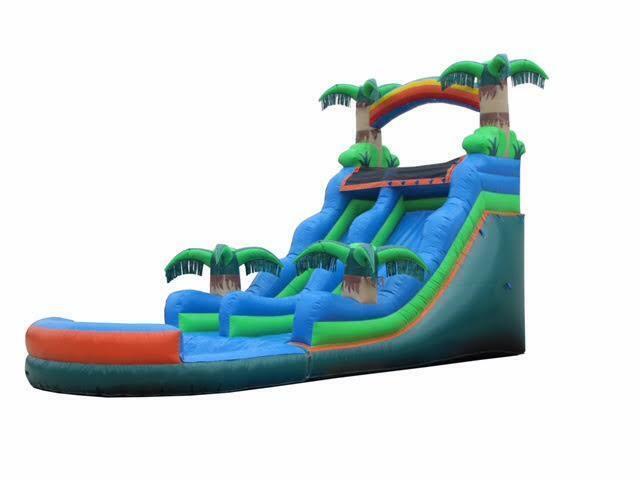 20-foot Tropical Waterslide will be a hit at your next party/event. No need to visit the Caribbean when you can simply have it delivered right to your backyard. Don’t wait to get hit with a heat wave, reserve now and enjoy your smart decision to book early. This slide is also available without the pool attachment.